And my main man Homsar got some screen time! I'm giving this email a solid C+. 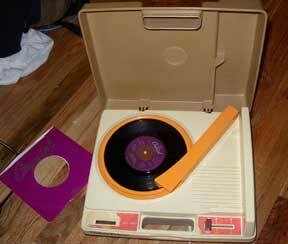 Post subject: I had one when I was little. Location: only in your imagination. First post, no text. greta way to start. I thought it was pretty self-explanitory. Post subject: Anyone who sees this please say so. Actually that's what I thought at first, but then I let my eyes just wander and I noticed that he actually put in a subject. I was like woah, weird. "Sorry, musta got a toenail caught in my throat!" Post subject: I see it. This was by far the best email in a long time. All the different rampages were great, and Homsar's line was hilarious. Pretty awesome. I really liked this email. Especially Strong Bad's "I'm on a Rampage!!" quote and pose when he said it. lol. - Two classic minor character quotes. You don't see that every day. "THIS BOOK IS TOO LONG!!" "Caramel corn for president, please!" - Yay! We get to see more of Coach Z's awesome rap stylin's! And SB's rap wasn't bad either. - Ha ha! "Witness the Whiteness! Warning: extremely boring." - Coach Z's lyrical rampage was so good, I'm throwing in another comment. - The "outcast trio" (which I just made up): Marzipan, Homsar, and Strong Sad. I repeat, great. Thanks, Brothers Chaps! is this like the first time Coach Z laughed? The H*R crew is getting close to packing it up, you can tell. It's all cliche now. Bush raised taxes for the whole population except for the top 3% if you are part of that elite 3%, put this in your sig. Last edited by 7 on Mon Apr 11, 2005 10:28 pm, edited 1 time in total. Strong Mad with glasses was classic, but other than that, I didn't find this one very funny. I thought it could have used more of Homsar in the poetry slam scene (maybe in an easter egg), and more of The Cheat in the rapping scene (like maybe showing the cheat in the whole scene rather than only when Z says The Chort). This felt more like a full-length toon than an e-mail... speaking of which, I think they're about due to make a full length cartoon. They seem to be running dry on e-mail related humor... the only good ones lately have been dreamail and virus. Actually, compared to this, long pants was pretty good too. I disagree. It's way better than say, Flag day, the best "Unbroken Tandy" email. Anyway, I disliked how "SS" ruined the rap. Fortunately, Ongstray Adbay and Coach Z got him back for it. Coach Z and Strong Bad's rap was too much. I give it 9/10. I see you haven't played Twilight Princess. Why is that? I got to the water dungeon thing and got bored. WOW. You just lost the very little respect I had left for you. Way way better than long pants! And it was a long one too. I look forward to going on some legal rampages of my own today at uni! The video game thing was a classic, royal rampage great (nice to see the KOT again) and the paired lyrical stylings of SB nd CZ. And a memorable Homsar quote. This was a great e-mail. Is it me, or is Coach Z'z laugh a little creepy? Does MC actually mean "Master of Ceremonies"? Post subject: Re: MC, yo. Yep, or mic controller. Either really. Or Master Chief. Strong Sad + Halo = FUNNY. Strong Sad+Halo=Obscureness. I could only but imagine what woyuld happen if Strong Sad played Halo. Not Strong Sad PLAYING Halo. Strong Sad IN Halo. I don't even like Halo, but seeing Strong Sad as Master Chief would crack me up. 7.5/10 I wasn't in that era of when rampage was the rage, but it's still a favorite game of mine ^^ That egg was nice. Let's see... Strong Mad's book was funny. Both the regal rampage and Homestar's "Sustained! *triple whack*" were laugh out-loud moments, and the Rampage egg was awesome. Homsar's quote was amusing, and the two scenes with Strong Sad were very amusing as well. A solid e-mail... 10/10. And hey, it's Lappy's tenth e-mail! Post subject: Funny funny funny. Yeah. There's so many hilarious moments in the Homestarverse that you can't describe with just a quote... Homestar's gavel being one of them. : "Oh. You lost me there." 'Twas good. 9/10. It presented a new Homsar quote, which is always a plus. I thought this was great. But then, I think they're all great. Best thing about this email was Coach Z's laugh. Who would've thought his accent would affect that, too?